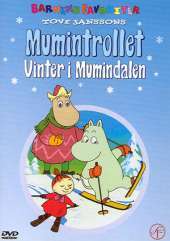 In winter, the entire Moomin Valley is covered with snow. In Muminhuset you sleep your long winter sleep. They sleep until the spring comes. But hope... Mumintroll has woken up, and Little My too. The two friends have never seen snow before and now they have to try both sledges and skates. It will be a winter they will not soon forget.